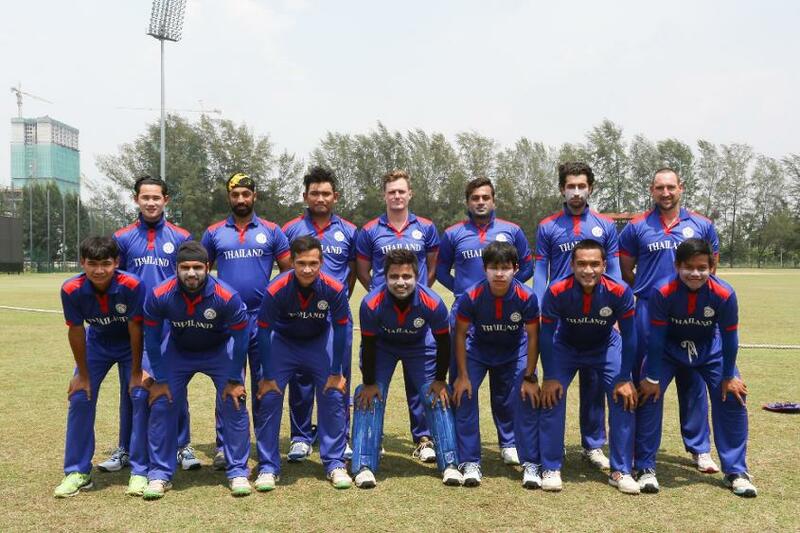 Thailand continue to lead the way at the ICC World Twenty20 Asia Qualifier 'B' as Nepal and Singapore took a step closer to a top-three finish with second consecutive wins in Malaysia on Saturday. Sandeep Lamichhane became the first player in the seven-team tournament to claim five wickets in a match in Nepal's eight-wicket win over Malaysia in Klang. 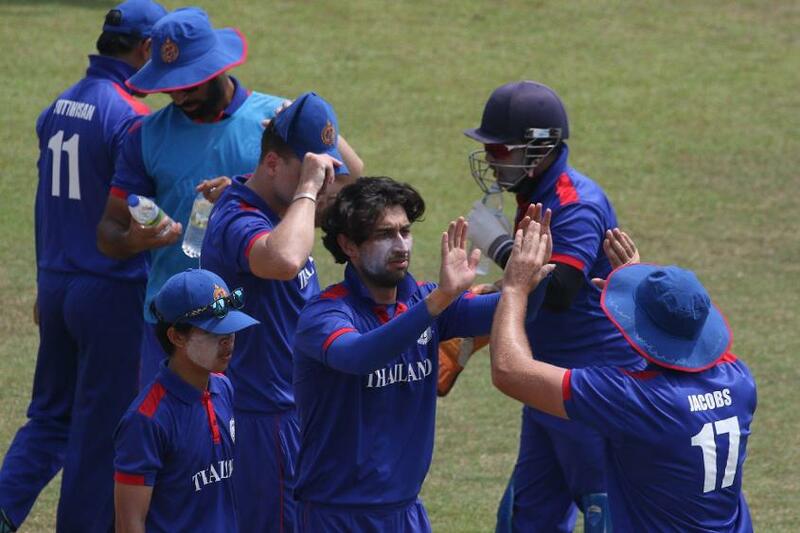 Thailand followed later at the same ground with an eight-wicket win over Bhutan to top the standings with five points from three matches. Singapore, who blasted China for a 10-wicket win in Bangi, and Nepal are next on four points with Malaysia fourth on three. 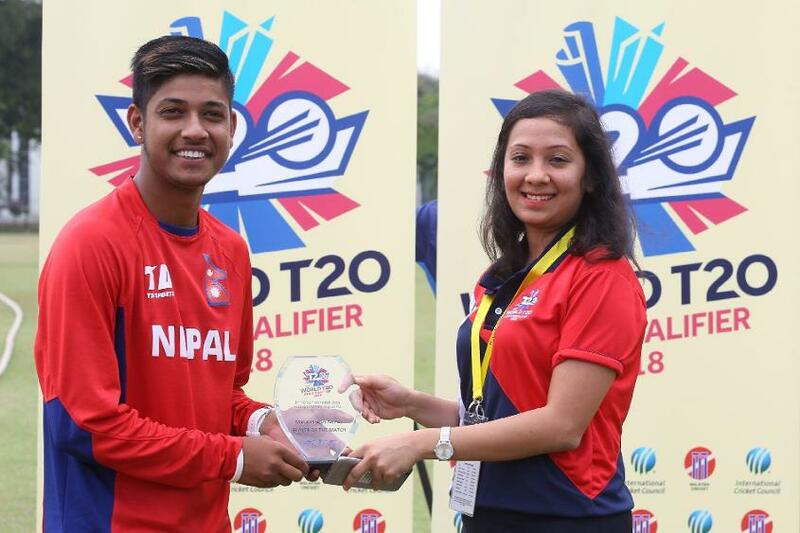 Man-of-the-match Lamichhane, who claimed five wickets in Nepal's win over Malaysia, was aided by Sompal Kami (3/16) in dismissing Malaysia for 100 with three balls remaining at the Bayuemas Oval. Captain Paras Khadka then dominated the Malaysian bowling with an unbeaten 52 off 37 balls for the second half-century of the tournament as Nepal comfortably reached 101/2 in 12.4 overs. The hosts threatened to make it a contest when they began the 12th over at 75/2 but Kami made a crucial breakthrough by bowling Malaysia captain Ahmad Faiz Mohammed Noor and Syahadat Ramli with successive deliveries. Anwar Arudin denied Kami's bid for a hat-trick but Faiz's exit saw Malaysia lose eight wickets for 25 runs. Lamichhane was also denied a hat-trick by Sharvin Muniandy after ending Shafiq Sharif's brave knock of 49 and having Virandeep Singh out for a golden duck. Khadka praised the contribution of Lamichhane, whose five wickets came at the cost of 20 runs in four overs. "Sandeep has been exceptional every time he has come out to bowl. People expect him to take wickets and it's not easy coming in with that expectation. He has managed to deliver and I hope he continues to do the same. The other bowlers support him from the other end and he's come in as one of our attacking weapons." Khadka had five fours and two sixes in his 37-ball stay at the crease and the captain effectively killed Malaysia's hopes by hitting Pavandeep Singh for six, four and four off successive balls in the eighth over. Malaysia's Faiz rued his side's inability to build on the start made by Shafiq, who fell just short of his second successive fifty after falling to Lamichhane. "Shafiq was the only one outstanding today and after my exit, it seemed everyone just went blank," said Faiz. "To lose so many wickets quickly had a big effect on us." With three points from three matches after Thursday's match against Thailand was washed out, Malaysia meet Singapore on Sunday under pressure to get their bid for a top-three finish and qualify for the next stage back on track. Singapore warmed up for the clash against traditional rivals Malaysia by limiting China to the lowest total of the tournament with 26 runs, eclipsing the 29 scored by Myanmar on the opening day. Mandeep Singh claimed three wickets for one run in two overs to earn the man-of-the-match honour while Amjad Mahboob, Janak Prakash and Sidhant snared two wickets each as China were bowled out 14.1 overs. Surendran Chandramohan (13) and Chaminda Kumarage (16) needed just 15 balls in guiding Singapore to 30 for no loss at the UKM Oval. Thailand claimed their second win after bowling Bhutan out for 82 with two balls to spare at Bayuemas, Nopphon Senamontree taking three wickets for 18 including Bhutan's top scorer Tenzin Wangchuk (25). 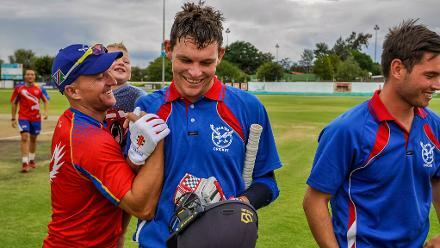 Nicholas Janes steered Thailand to 83/2 in 13.3 overs after scoring an unbeaten 36, with his third boundary bringing up the winning runs. Janes featured in an opening partnership of 35 with Daniel Jacobs (25) before combining with Wanchana Uisuk (19) for a 44-run second-wicket stand. The win sets Thailand up nicely for Sunday's clash with Nepal in Klang while China and Myanmar face off in a match between two winless teams in Bangi.